Val and Alice Tibbits Limit Out! The water on the Kenai River in the National Wildlife Refuge is still way low and clear but the first run is starting to materialize. So much so, that Val and Alice limited out today! Good numbers of Sockeye Salmon both on lines and near the boats. Starting to feel like fishing season! 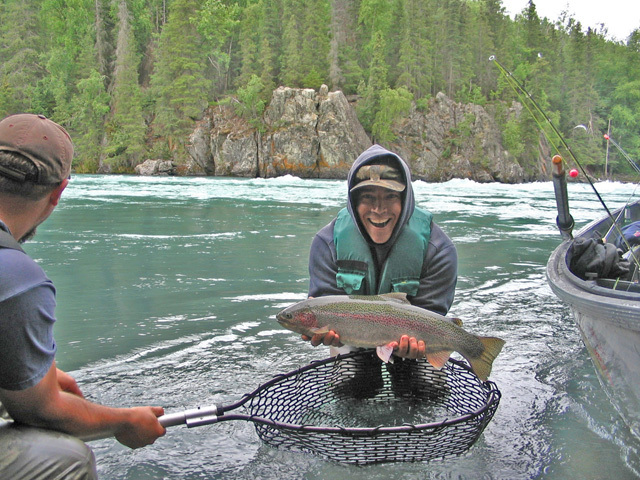 This entry was posted in River Report on June 16, 2011 by Kenai River Fly Fishing. The start of the 2011 season is finally here. We are already reeling in a ton of Sockeyes, Bows and Dollys here at Kenai River Fly Fishing! Everyone limited out on Sockeyes on day 1! The river is coming up and it is really clear so the Sockeyes are running really deep. Due to the large snow pack in Alaska floats are fast and trips are sometimes doubling up on river runs. We’ll be posting about everyday, sometimes twice a day so check back often! Be sure to subscribe by email at the bottom of the page if you want the KRFF River Report in your email! Trips are booking up fast, pick your time of the year and call us at 907.595.5733 or email us at info@krff.com to secure your dates. 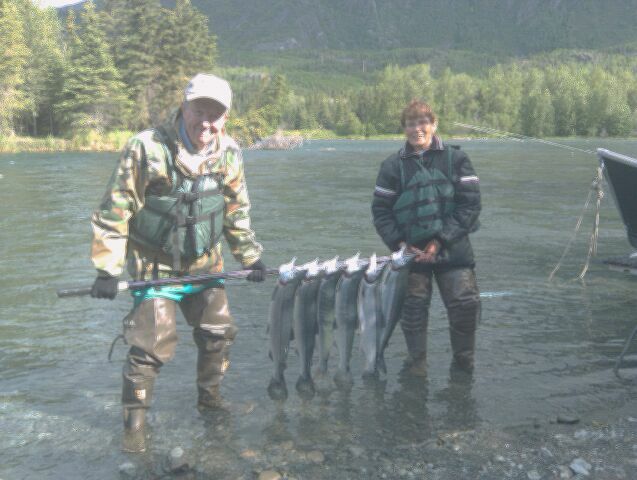 This entry was posted in River Report on June 11, 2011 by Kenai River Fly Fishing.